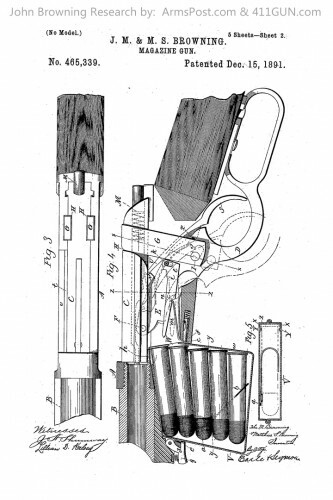 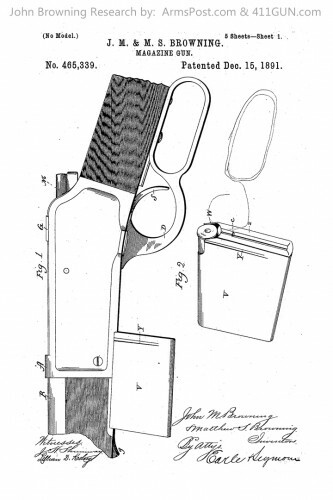 John Moses Browning was granted US Patent 465339 on December 15th, 1891. 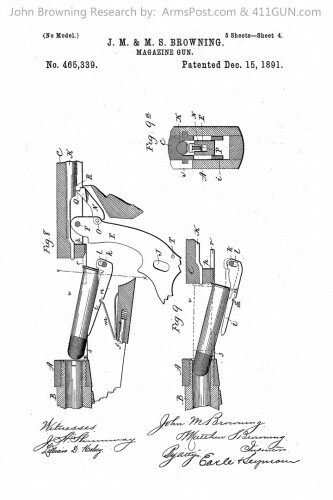 He applied for this patent on August 3rd, 1891. 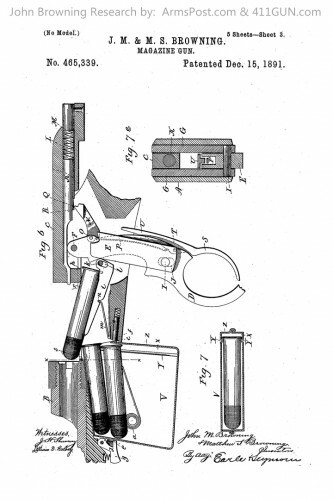 The patent category was for a Magazine Gun. 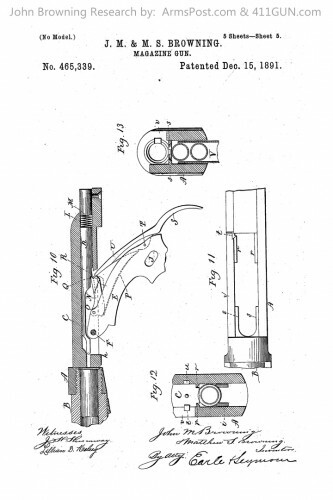 This lever action rifle design became the Winchester Model 1892.